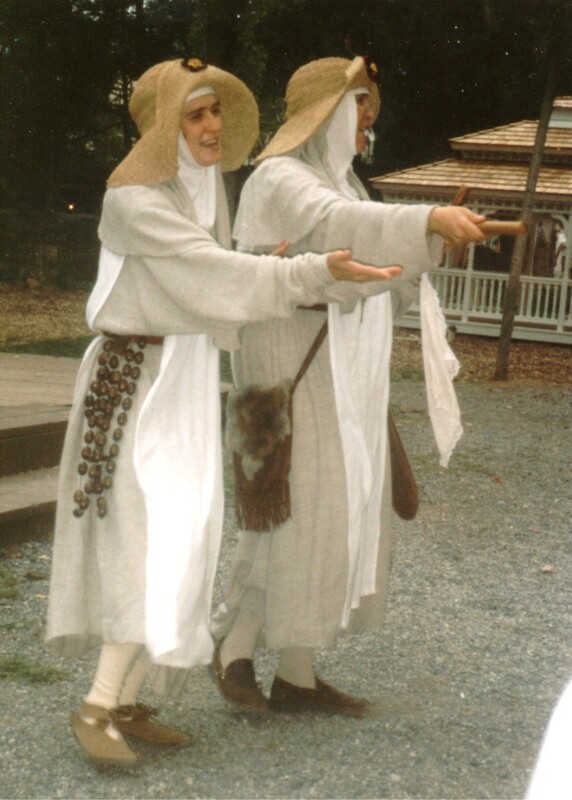 Here are a pair of Period nuns. The important thing to notice is that the habits are not black. Black was a terribly expensive color, and nuns, friars, etc. were sworn to poverty. The hats they are wearing are wide straw hats, common among the peasantry.